"Telesphere Solutions researched, designed, and implemented our Zultys phone system last year. Throughout the process, they were committed to understanding our business and providing a solution that improved our telecommunications. As our business changes, we are confident that Telesphere Solutions will continue to help us grow and adapt." "It is with great pleasure that I extend my hearties recommendation for Telesphere Solutions. They have responded and exceeded our business needs. We have received courteous, prompt and reliable service from their staff. We would not hesitate to highly recommend Telesphere Solutions Services." "We came from testing different carriers and other solutions. There was always something that didn’t feel complete or satisfactory because of the lack of integration and follow through. Thanks to Telesphere Solutions our companies are now integrated, our response time to our customers has been quicker, voice mails go to emails and calls are redirected to our cellphones when we are not at the office, and our staff has comfortable with the system from day one because of proper training. The best part … Telesphere Solutions took care of everything!" "We have an International Operation, we were handling everything with a Traditional Phone System and several vendors. At the time of the decision we had several options, but we sense with Telesphere Solutions a trustful relationship were we could put in their hand all our Telecom needs. They helped us integrate with our other Latin American Offices , unify carriers, reduced cost , get a redundant solution , avoid roaming cost, reduce international cost and gave us local numbers in other countries." We have built a relationship with a strong and knowledgable partner, they really care for our business"
"It is with great pleasure that I write this recommendation letter for Telesphere Solutions. 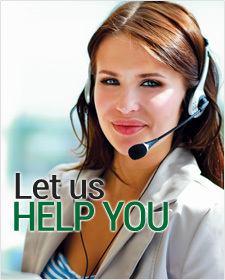 They have been our telephone systems provider for over 5 years. We are a very busy medical practice in south florida and have several providers caring for a large population of patients. Since we contracted Telesphere Solutions for our telephone needs they were able to set up a system to handle our very heavy volume of calls. Our system was is able to track the number of calls coming into the practice on a daily basis and it also provides options for patients needing specific departments to have their calls transfer directly. In the past four years we started expanding our practice and Telesphere Solutions helped us set up each satellite location with telephones that could communicate with each other as if they were located in the same space. Telesphere has kept us in the forefront of new technology in order to better our telephone needs and it has allowed us to provide our patients with exceptional customer service." " We have selected Telesphere Solutions among other Telecom providers due to their excellent approach and detailed oriented attention during the sales process. Their Cloud Communication Service stability and quality are great. We have integrated all our 7 Restaurants in US , Corporate Office , and Overseas Restaurants with them , they managed all our numbers on a centralized platform. The transition from our previous provider to them was completely smooth and well organized, and besides that ….we are SAVING ! , we dramatically decreased our telecommunication cost , increased lines capacity and have a robust redundant service."